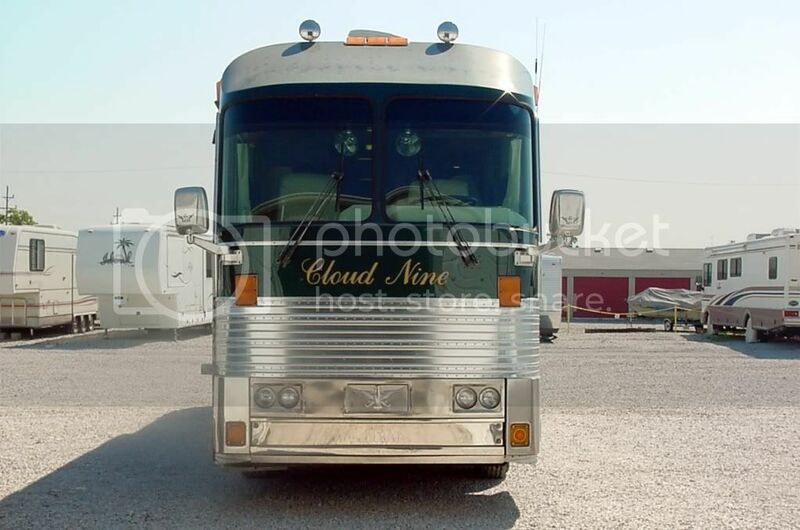 Eagles International Forum • View topic - Bill Bruce's 1979/1995 "Cloud Nine"
Bill Bruce's 1979/1995 "Cloud Nine"
I am posting this coach for a friend of ours. 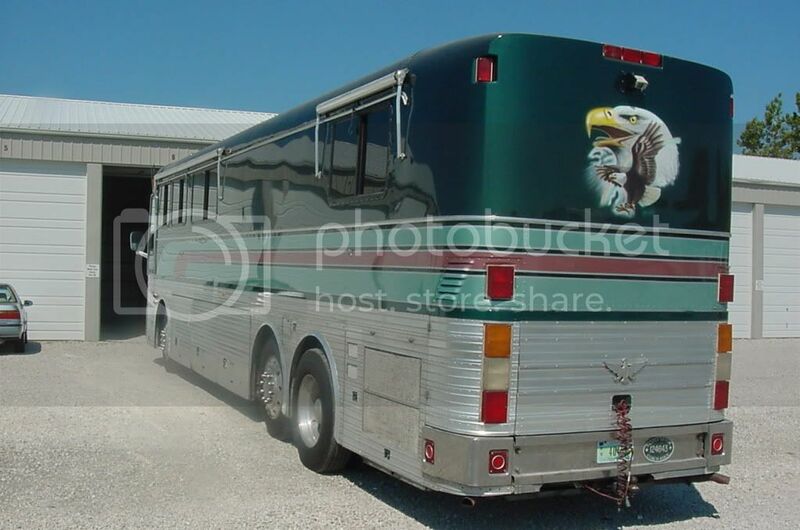 This Eagle is a 1979 NASA coach with only around 396,000 total miles on the chassis. The current engine(8v71) and transmission(740 auto allison) has some 125,000 miles, runs great with no leaks of anykind. This is a Tony Fisher conversion with Quadra bigfoot levelers, Wrico Kubota diesel genset, full spray foam insulation and drivers air. Paint was redone in 2002. 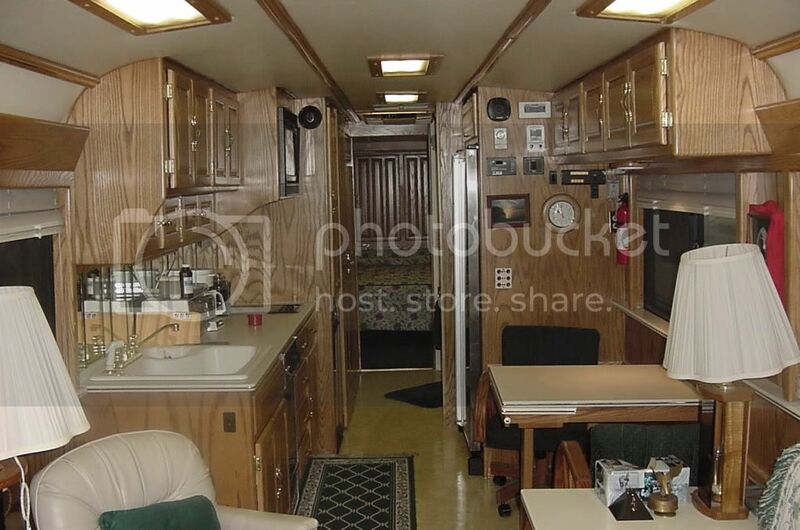 This coach has the original aluminum skin, baggage doors and baggage floors. 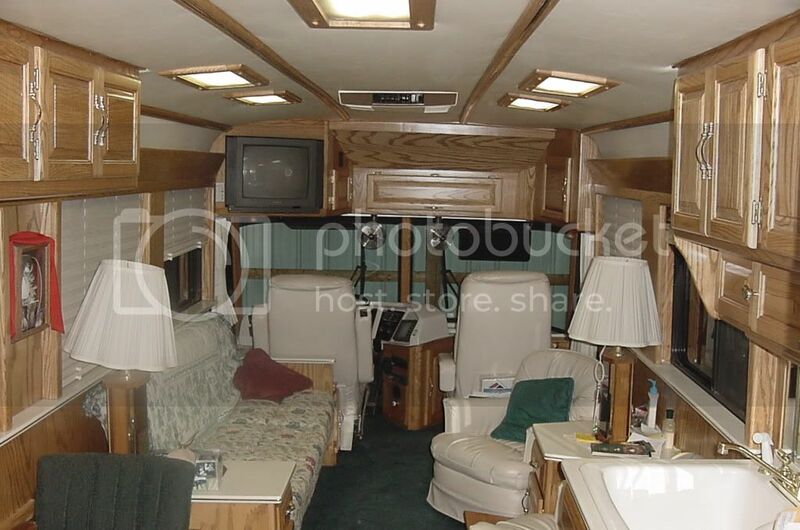 Tony refused to remove the original skin and doors because it looked so new. This Eagle had never hauled anything in the baggage compartments! It was only used to shuttle people at Johnson Space center. 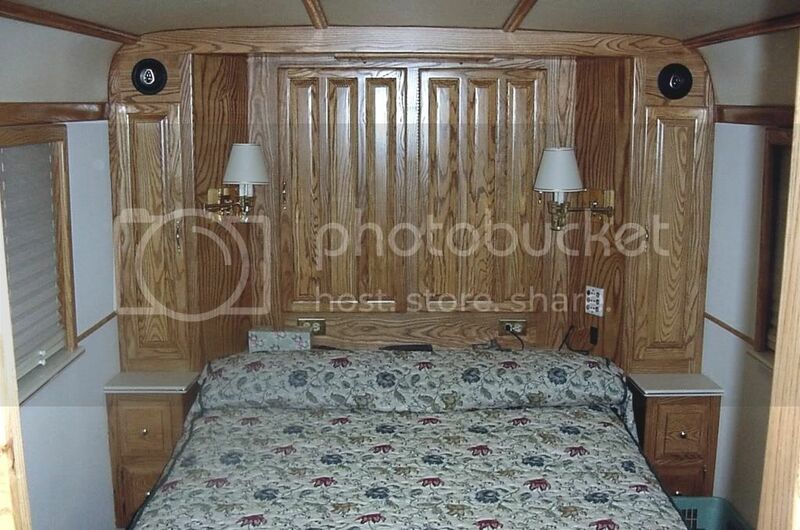 Bill would like to sell this coach due to his age and declining health. PM me for additional info. Re: Bill Bruce's 1979/1995 "Cloud Nine"
P.S. 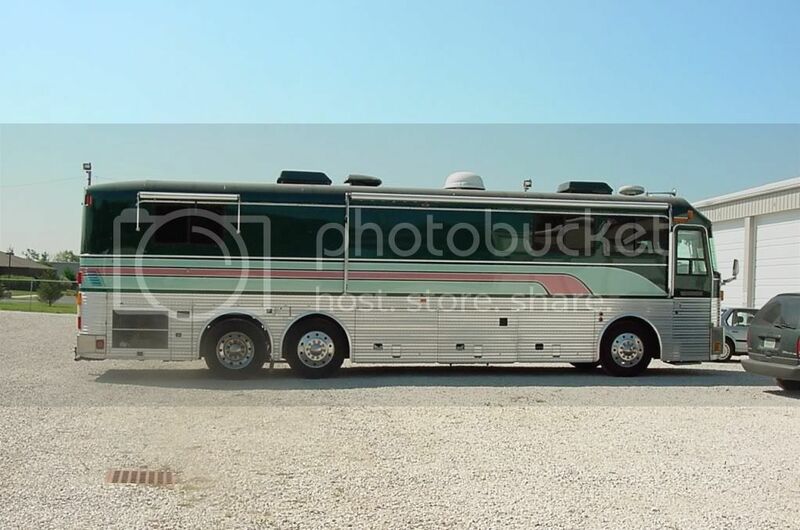 I ran it by my wife already...she said "we don't have enough room in the bus garage for another Eagle"...LOL Would anyone be willing to help me add on ?? Jim, that is a nice bus looking at front cap and windshields is that a raised driver. Clifford, Yes, it is a raised driver. Jim H wrote: Clifford, Yes, it is a raised driver. I am not familiar with this term, "raised driver" can you enlighten me? It's where the driver area and co pilot are the raised height of the rest of the floor. I other words a lot of work. 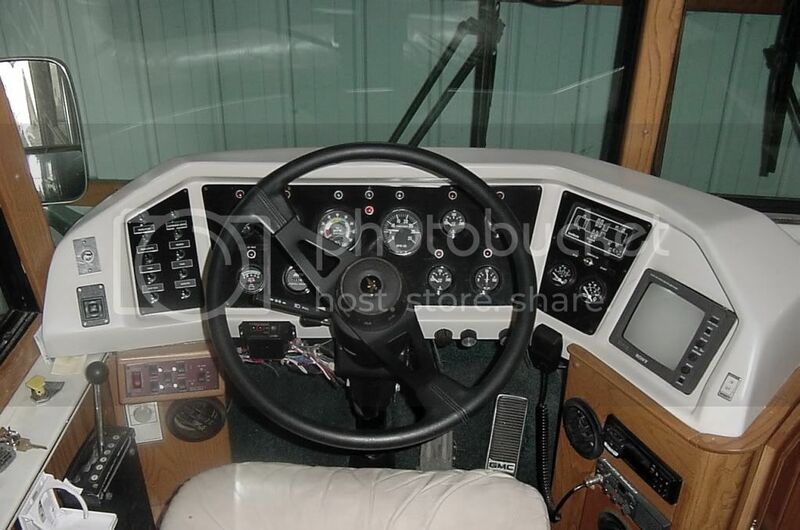 If you look at the breastplate, that would give you a clue, also the pics of the driver seat and co pilot seat. It also allows for more seating in the lounge area. Okie, I think the raised floor works best with mid entry door when you do it on a front entry it adds 1 more step making it steep and most people sprial the steps and it takes up more room but it looks good to me. Plus I have this thing about a big copilot seat setting in the way when entering a coach.